Spread a blanket and feel the warmth of California's golden breezes when this fabulous gift arrives. 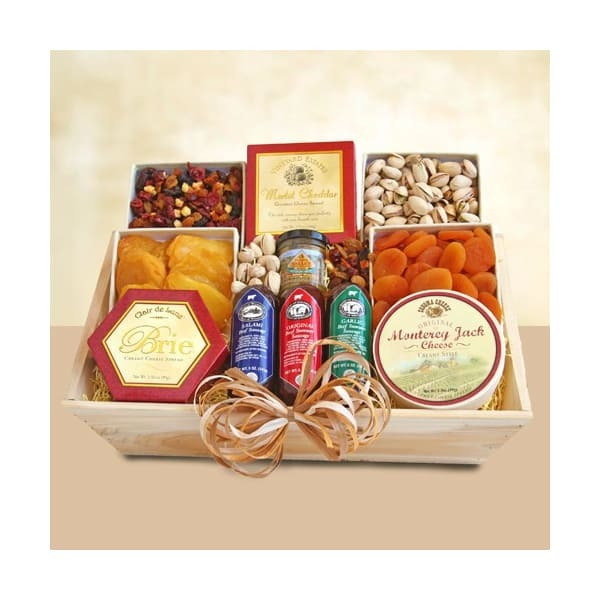 A wooden crate holds a delicious sampling of gourmet treats including California pistachios, tasty dried fruit, Monterey Jack cheese, brie, merlot cheddar cheese. 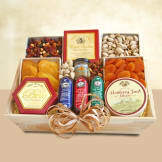 Napa Valley mustard, dried sweet apricots, nut and berry trail mix and three flavors of salami.